Is your dog or cat constantly pawing at its mouth? Are they drooling excessively or have bad breath? Does your dog or cat seem hesitant to eat or have difficulty chewing? If so, these are often indications of dental disease. Dental disease can be responsible for a broad spectrum of health issues for both cats and dogs. Bacteria from periodontitis can be released into the bloodstream, causing damage to internal organs, affecting severe pain, and even increasing risks for kidney, liver and heart disease. You make sure to visit your dentist for routine dental care every year. It is equally important to give your cat or dog the same attentive dental care via regular dental exams with your veterinarian. This is one of the most important things you can give your pet for a long and healthy life. 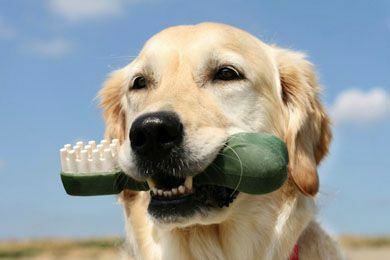 Shores Animal Hospital in Gainesville, Florida is proud to offer dental care services for all of our furry friends. Shores Animal Hospital sees more pets with dental disease than any other problem. Statistics show that dental disease is the most common disease in dogs—92% of dogs over the age of three are affected. Although less prevalent in cats, statistics show that 85% of cats over the age of three struggle with the disease. However, scheduling annual pet dental cleanings can add 2-4 years to your pet’s life! While under general anesthesia, your dog or cat can receive a thorough dental cleaning. Shores Animal Hospital uses a safe, local anesthesia and monitors your pet’s heart rate, oxygen and respiration. To keep your pet in good health, you should schedule them for a routine dental exam at least once a year. Give Shores Animal Hospital in Gainesville, Florida a call today to schedule an appointment.